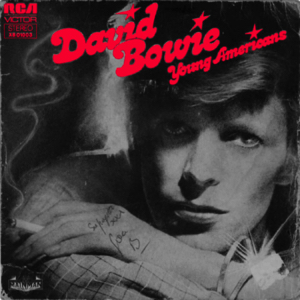 Young Americans is the ninth studio album by English musician David Bowie, released in 1975. For the record, which showed off his 1970s “obsession” with soul music, he let go of the influences he had drawn from in the past, replacing them with sounds from “local dance halls”, which, at the time, were blaring with “lush strings, sliding hi-hat whispers, and swanky R&B rhythms of Philadelphia Soul”. The bonus tracks “After Today”, “Who Can I Be Now?” and “It’s Gonna Be Me” were outtakes from the 1974 Sigma Sound sessions in Philadelphia. 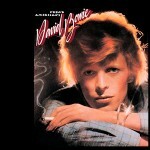 “Young Americans” is a single by English singer and songwriter David Bowie, released in 1975. It is included in the album of the same name. The song was a massive breakthrough in the United States, where glam rock had never really become very popular outside the major cities. The song reached No. 28 on the Billboard Hot 100, making it his second biggest success there up until that point. 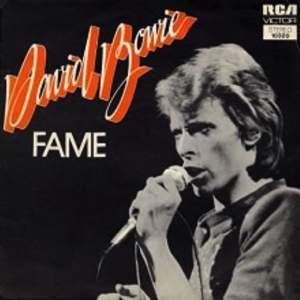 “Fame” is a song recorded by David Bowie, initially released in 1975. Written by Bowie, Carlos Alomar and John Lennon, it was a hit in North America, becoming Bowie’s first number 1 single in the Billboard Hot 100 and one of the most successful singles of the year, ranking at number 7 on the Billboard Year-End Hot 100. The single was less successful in Europe, reaching number 17 in the UK Singles Chart. The song is included in The Rock and Roll Hall of Fame’s 500 Songs that Shaped Rock and Roll. I arrive in Philadelphia from London around 8pm. I’ve just finished a Thin Lizzy album and I am tired! I am rushed to Sigma Sound by limo. 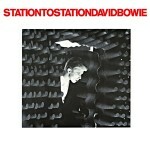 I am shown the control room, and can see a large band playing full tilt with Bowie walking around pensively among them. I am immediately intimidated because the band contains three musicians I am in complete awe of – Andy Newmark on drums, Willie Weeks on bass and David Sanborn on sax. These are super session men, and I’m just a Brooklyn kid who did good in England! I ask the engineer, Carl Paruolo, “Who is engineering?” I’ve never seen a console as funky as this – it looks like it was handmade in someone’s garage on weekends. The session guys were great to record with. My fears were quickly dispelled. To contrast the “slickness” of Newmark, Weeks and Sanborn, David was trying out a gang of NYC kids from the Bronx, whose manager had sent in a demo tape weeks earlier. They were Carlos Alomar on guitar, his wife Robin Clark on vocals and their vocalist friend Luther Vandross! What a lineup! Mike Garson on piano was the only link left over from the Spiders From Mars days. It was agreed we had to record live, no overdubs! But David also wanted to record his vocals live in the same room! This presented a big problem because the instruments were much louder than his voice, so I had to rig up a special microphone technique which canceled the band but recorded his voice. This required two identical microphones placed electronically out of phase. In other words, the diaphragm of one mike is pushing when the other is pulling. The band’s sound is picked up by the two mikes, but is out of phase and consequently cancelled! David was told to sing only into the top mike so that his voice was not canceled! For the non-technically-minded this probably doesn’t make any sense, but it saved the day, and what you hear on the recordings is about 85% “live” David Bowie. The sessions went swift as a breeze, and we often worked until after sunrise the next morning (which sometimes hurt). A small group of fans stood vigil outside the studio listening as hard as they could. On the last day David took pity on them and invited them in for an hour of listening. PHILADELPHIA La Bowie and his entourage made elegant camp here for two weeks before the start of the West Coast swing of his current tour. Pitching tents amid the staid and somewhat geriatric prestige of Rittenhouse Square’s Hotel Barclay, the Bowie mob had come from its New York headquarters after booking some 120 hours of recording time at Sigma Sound Studios, home of the Gamble-Huff-Bell R&B empire and one of the busiest hitmaking studios in the country. Bowie’s intention had been to record with the rhythm section from MFSB, Sigma’s resident body whose TSOP (The Sound of Philadelphia) had recently pinned Philly Funk to the top of the charts for an extended reign. However, some confusion over commitments left Bowie with only MFSB conga player Larry Washington. Bowie then recruited a New York crew: guitarist Carlos Alomar, bassist Willie Weeks, drummer Andy Newmark and saxophonist David Sanborn, in addition to his pianist, Mike Garson, and some rafter-raising gospel in the voices of Ava Cherry, Luther Vandross and Alomar’s wife, Robin. Tony Visconti engineered the sessions and was assisted by Sigma’s Carl Paruolo. Accompanied by his secretary, Corinne Schwab, and his bodyguard, Stuart George and frequently visited in the studio by wife Angela and son Zowie, both of whom had checked into the Barclay with him, Bowie made nightly journeys to Sigma. For a corps of ten “Bowiemaniacs” who maintained a sleep-out vigil in front of Sigma and who greeted, begged autographs and won kind words from their main man upon his entrances and exits (Bowie worked from the early evening into the late morning), the Sigma sessions were apparently as traumatic as they were God-sent. 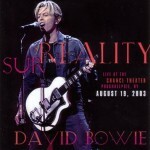 Bowie had decided that the faithful would be brought into the studio after completion of the album for a party. But that didn’t happen until early in the morning of the final session, after Bowie had put in a long night of finishing touches some vocal fragments, a few overdubbed keyboard parts and some additional harmonies from Ava, Robin and Luther. 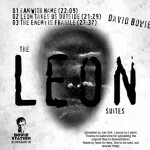 The album, thanks to Bowie’s organized approach he would prepare reams of precise arrangements during the day for efficient, methodical run-throughs at night had come together quickly and, it appeared, to the considerable satisfaction of all concerned. So much so that, by the final night, the atmosphere in Sigma’s second-floor studio had depressurised to a state of genial calm. 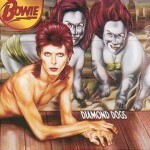 The album, which Mike Garson has suggested Bowie call Somebody Up There Likes Me, arguably the strongest and most immediately engaging of the seven songs, seems far from the conceptual mosaicism of past efforts such as Ziggy Stardust, Aladdin Sane and Diamond Dogs, and is perhaps the first Bowie album you’ll be able to dance to all the way through. Bowie’s version of Philly Sound a slickly stylised, “discophonic” brand of urban soul pioneered at Sigma by Kenny Gamble, Leon Huff and Thom Bell is largely propelled by the soaring vocal backup of Ava, Luther and Robin, while behind them the instrumentalists produce a blistering rhythm. The songs range from a new, remarkably revamped version of John, I’m Only Dancing – once a straight-ahead rocker and now rhythmically expanded, ultraprogressive excursion – to new material in a superbly soulful vein. Apart from the obvious single, Somebody Up There Likes Me, there is an extended, magnificently punctuated torch song, It’s Gonna Be Me, featuring an aching vocal from Bowie that should keep Al Green and Marvin Gaye on their toes; bouncy, high-humoured number, The Young American, written recently enough to treat Richard Nixon in the past tense, and the album’s closer, Right – an exhortation of the funk God. Bowie played the album for the ten blissed-out, formerly camped-out, devotees, who’d been ushered into the studio, finally, at 5am by Stuart George. With wine, tears and adulation flowing around and from the blessed, Bowie was an affable host as he signed more autographs, apologised for the unfinished mix of the album and agreed to play it a second time, at which point the party erupted into dance. Bowie took centre floor with a foxy stomp.